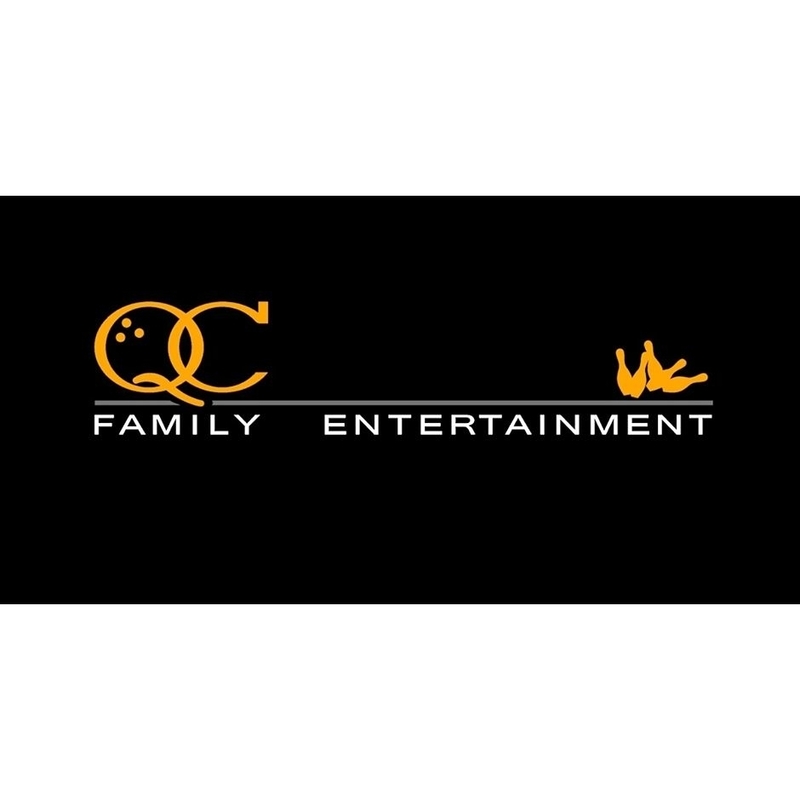 QC Family Entertainment provides entertainment and dining options to families and all age groups. Our entertainment options include bowling, cosmic bowling, laser tag, video games and a sports bar & grill. Our game room offers 65 state-of-the-art video redemption games with a redemption center to redeem tons of awesome prizes. We have 32 bowling lanes, 24 in which are laid out in the conventional bowling style. We have 8 additional lanes in a boutique bowling style equipped with leather couches in a private area perfect for leagues, open bowl, cosmic bowling and corporate bowling. Frankie&apos;s Sports Bar and Grill serves the Miroballi Family Chicago-style pizza. The restaurant is large enough to accomodate 120 people, features a full service bar and more than 10 high-definition big screen televisions to satisfy your sports cravings! Finally, we have a two story laser tag arena so you can battle it out with friends and family. We are available for private events and parties. We also offer bowling leagues including senior, adult, youth and mixed leagues. A Message from the Owner: I was born and raised in the Quad Cities. I have a strong sense of community and am service minded. My wife and I were both born in the area as well as both of our daughters. Professionally I have had the pleasure to work for and learn from some very sharp people . I hope to bring the knowledge and passion to Quad City Family Entertainment Center. The owner and I have the same vision, we want to provide the Quad Cities with the best FAMILY experience possible. We value every guest that chooses to visit us.